Your home is one of your most valuable possessions, along with everything inside. It is a place you want to feel safe and secure from the potential dangers of the outside world. 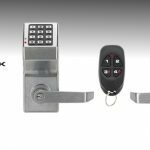 Let MX Locksmith help you out with a few basic best practices for home security, to help create a secure environment for your loved ones and family. Get to know your neighbors. Take the time to meet and engage with people on your street and encourage them to watch out for any suspicious activity when you are not home; having a network of people within a neighborhood looking out to each other is an invaluable home security tool. Have a talk with your local police department. Ask your police department to come and inspect your home and property, and provide suggestions to increase home security. They can also give valuable insight on what methods thieves employ around your area; this information will help you tailor your home security to what is relevant for your location. View your landscape with safety in mind. As you walk around your property, look for areas that could be potential hiding spots for thieves. Try and clear away any overgrown areas to increase visibility around your home. Also, while surveying your home surroundings also take note of corners or outcroppings in your neighbors yard; even if there are no obstructions in front of your home, a thief or burglar may still try to stage an attack from close by. Ready a safety plan. Make sure you setup and practice a safety plan where you check and lock all doors, close and lock windows and turn on your alarm system every time you leave your home. If you can help it, avoid leaving spare keys outside, under a rock or under a welcome mat, as thieves know most potential hiding places. A well established plan will keep you in the home security mindset. Avoid alerting others to your shopping trends. Thieves look for and steal newly-delivered boxes on your front porch, so consider instructing your package carrier to deliver them elsewhere or require a signature upon delivery. Thieves may also look at clues provided by your trash or recycling, which will show them the types of valuables you have inside your home; strive to breakdown boxes and place them inside the proper trash receptacles. Protect valuables that you keep outdoors. Thieves also target sheds, garages and other outdoor buildings. 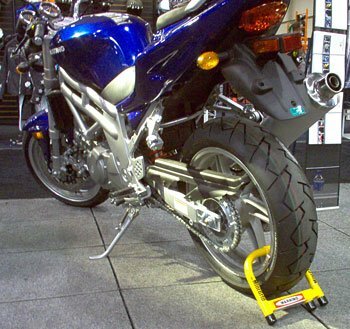 Secure your grill, lawn mower, bicycles and other outdoor gear with chain locks or covers; this is especially important if you park small vehicles outside such as scooters and motorcycles. Lighting truly matters. Outdoor lighting, placed around your front door or in front of your garage, can be the difference between your home being targeted or avoided by thieves.. Motion-sensitive lighting can help add security and provide light when and where it is most needed. Also consider using automatic timers or smart lighting that can be programmed to turn lights on and off in various parts of the house to help make it seem like you are home; the appearance of people present deters thieves and strengthens home security efforts. Create a plan for when you are away or on vacation. Hold your mail, stop your papers and ask a friend or neighbor to remove flyers from your property. Make arrangements for snow removal and lawn mowing so that it is not obvious when you are away from home for extended periods of time. 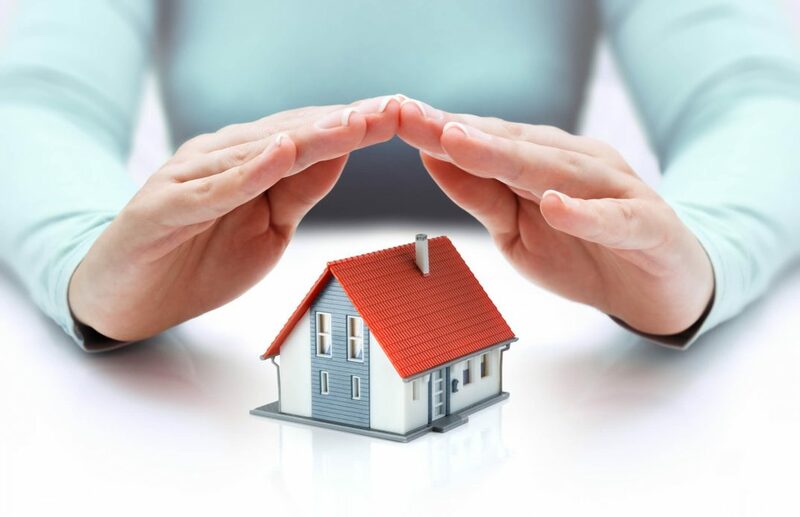 Also, you can let us at MX Locksmith help consult you with a home security plan! Manage visibility. Make sure you can see who is at your front door without opening it; automatic doorbells can alert you when someone is at your door, and can take snapshots or video on demand. Also, avoid placing valuables where they can be seen from outside your home or from the street, and do not place your home alarm panel in a place where people can see you arming it from the outside; you can consult your home security system installer for proper alarm panel placement. Visibility, just as proper lighting and vacation planning, all increase your home security without much effort or cost to you. And that’s it! a few quick home security tips that are easy to implement, and can greatly boost your home Security! Did you like these tips? Let us know any home security tips that you recommend in the comments below! Thank you for this Ross, you are much appreciated! Thanks For this wonderful article and tips. You gave relevant information, i appreciate your work. Thank you Aaron, truly thankful for the share! No problem, we appreciate you! My wife and I have recently moved into a newer home and we’re wanting to put new locks on it to make sure we don’t have any security issues. I liked that you had mentioned that it can be important to make sure you know your neighbors so they’ll be able to look out for you. We’ll have to start talking with a few neighbors, but we’ll also need to start looking for a lock installation company that can help us out. Thank you for the feedback Roger, and congrats on your new home! Thank you for reading our blog! Best of luck with your new home! I often forget that having a spare key outside can encourage burglars to look around until they find one! My wife is looking into getting a more secure security system for home! I’ll make sure to look into electronic locks like you suggested if we do go that route! We are glad that you found our blog informative. Thanks for reading! I love your post! you said right that we have to know about neighbors. We have to meet and engage with people on our street. Thanks for sharing this informative blog post! I was looking for some home security tips and finally found on your blog! I like how you said to establish a safety plan. My parents just got a security system for their new home. I appreciate the tips for extra home security. This is some really good information about security systems. It is good to know that it would be smart to have cameras outside because it can help with keeping your stuff safer. That is good for me to know because I leave my car in my driveway at night. We are glad that our blog could be of help. Thank you for reading! Thank you for reading, and congratulations on your new move! I like how you suggested creating a safety plan in case of a break in. We are getting security doors installed in our home. I appreciate the home security tips. I’m glad that this article could be of help! Thank you for reading! i agree. great example and very helpful! I read this article. I think You put a great deal of push to make this article. I value your work. Thank you for reading Jenna! Great article! These are all wonderful tips in not only ensuring security for yourself but your household. thank you! No problem, I’m glad that you found the article useful; thank you for reading! My wife and I are going out of town for the weekend and I am trying to take as many precautions as I can to avoid a break in while we are gone. I was very surprised to learn that posting what we are doing on social media can be very dangerous and alert potential burglars to when we are going to be gone! I will be sure that my wife reads this article and is careful of what she posts online! I’m glad that this blog could be of some help! Thank you very much for reading and sharing! Thanks for the great tip to walk around you property and look for potential hiding spots for intruders. 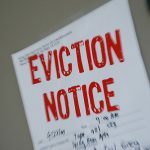 My uncle is actually moving soon, so I think these tips could really help him secure his property. Do you have any tips for choosing a security system. Thanks for mentioning how a locksmith should help you with home security. I like how you said that you should lock your doors when you leave for security reasons too. 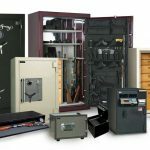 My husband and I are looking into locksmith services; thanks for the post. You make a good point when you suggest lighting to help secure your home. Having your home well lit would probably help deter robbers in general. My husband and I are trying to secure our home more, so in addition to hiring a locksmith to replace our locks, we’ll have to consider the lighting situation. Great post, so much information to learn. 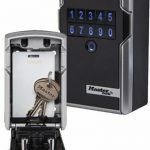 Thanks for mentioning how a locksmith should help you with home security. I also like how you said that you should lock your doors when you leave for security reasons too. Thanks for taking your time to make such important article like this. I want to get some new doors and locks to help with my home security. I like all of your tips for adding some extra security as well. I like the idea of setting up a safety plan for checking and locking all doors. I’ll definitely have to set this up with my family. It is nice to know that you can make sure that the locksmith service that you choose is legitimate. Being able to see who is coming at your door is really helpful. My sister would love this tip as she looks for a locksmith service. Thank you for mentioning how a locksmith should help you with home security. However, I would also suggest changing your locks if you think the previous owner gave any friends or neighbours a spare key. It is best to be on the safe side. I just moved into a new home, so thanks for sharing these security tips. I like your point about placing lights around your doors and garage. I’ll be sure to install a few more lights so it’s easy to see if anyone is around my house. 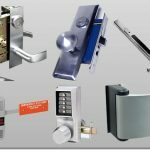 Thanks for this article which is really beneficial for everyone who need to get locksmith service. so thanks for describe some tips. so thanks again. Amazing article. i had red many articles but this is unique out of them. very nice. please post more interesting articles. anyhow at the end thanks for this. I really appreciate your tip to avoid leaving any keys out in the open if you want to maintain your security. My wife and I have been thinking of getting a new lock on our front door ever since our neighbor’s house got broken into. I will be sure to tell my wife that we should try and get the spare key somewhere safe when we get our new lock! 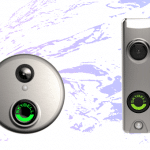 electromechanical lock visit the site to know more about Safelocks. Amazing tips! Thanks for sharing this useful information with us and good luck for more amazing work. I Really like reading your article, you are doing great and wish you luck for more amazing work in the future. I was searching for security tips, but I got your article. i must say you shared a useful information for me. It will really helpful for anyone for security purpose. thanks a lot! All these points are really helpful for anyone, although you set it for your house or office. Thanks!